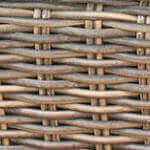 Dimensions: 44" long, 24" deep, 16" high. 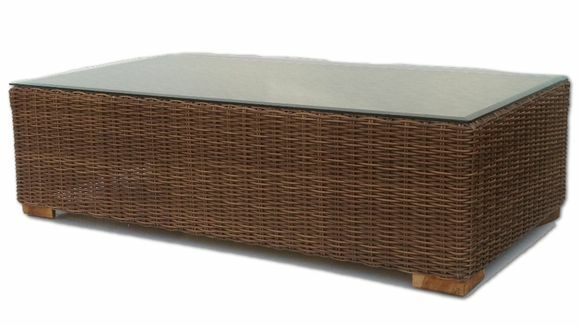 Outdoor wicker coffee table is framed on aluminum and features beveled safety glass. 44" long, 24" deep, 16" high.